If you’re a new gardener (or even if you’ve been at it awhile), choosing soil for potted plants from the many types of potting soil available in garden centers can feel a bit overwhelming. However, once you have some knowledge of the basic components of potting soil and the most common potting soil ingredients, you can select the best product for your particular needs. Read on for helpful potting soil information. 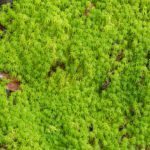 Sphagnum peat moss – Peat moss holds moisture and releases it slowly to keep the roots moist for longer periods. Pine bark – Pine bark is slow to break down and its rough texture improves air circulation and moisture retention. Vermiculite or perlite – Vermiculite and perlite are both volcanic byproducts that lighten the mix and improve aeration. 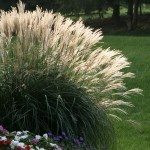 Neither ingredient makes a good planting medium on its own, but the combination makes an effective all-purpose potting soil. Some products may also contain a small amount of limestone to balance soil pH. Many standard soilless potting soils come with a time-release fertilizer pre-mixed. As a general rule, no additional fertilizer is needed for several weeks. Without fertilizer added, plants require fertilizer after four to six weeks. Additionally, some commercial potting mixes contain granular wetting agents that improve the water retention quality of the potting soil. Seed starting soil is much like regular soilless potting soil, but it has a finer texture and usually contains no pine bark. A lightweight, well-drained potting soil is critical for seeds to prevent damping off, a fungal disease that is usually deadly for seedlings. Cacti and succulent mix – Cacti and succulents require more drainage than regular potting soil can provide. Most cacti and succulent mixes contain peat and perlite or vermiculite, along with a gritty substance such as horticultural sand. Many manufacturers add small amounts of bone meal, which provides phosphorus. Orchid mix – Orchids require a sturdy, well-aerated mix that won’t break down rapidly. Most mixes have a chunky consistency that mimics the natural environment. Various combinations may include coconut husks, redwood or fir bark, peat moss, tree fern fiber, perlite, vermiculite or charcoal. African violet mix – African violets thrive in a mix much like regular mix, but these lovely blooming plants require acidic soil. Manufacturers usually accomplish this by combining peat moss and perlite or vermiculite with lime to create the proper soil pH. 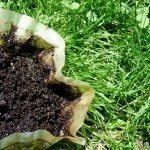 Peat-free potting soil – Peat, harvested primarily from Canadian peat bogs, is a non-renewable resource. This is a concern for gardeners who are concerned about stripping peat from the environment. Most peat-free mixes contain various types of compost, along with coir – a byproduct of coconut husks.